Saudi officials have denied accusations that the crown prince ordered Jamal Khashoggi's murder. Jamal Khashoggi was last seen entering the Saudi consulate in Istanbul. The United States does not believe the Saudi version of the October killing of journalist Jamal Khashoggi has "hit that threshold of credibility," a senior State Department official said on Friday even as Saudi Arabia prosecutes suspects. U.S. Secretary of State Mike Pompeo will emphasise the need for accountability and credibility in the investigation of Khashoggi's death during a visit next week to the Middle East, including to Riyadh, the official said. "The Secretary has been very consistent in engagements with Saudis ...to really push the two points of accountability and credibility, which is that the Saudis should have a credible narrative for what happened," said the official, who briefed reporters on Pompeo's trip. "I don't think from our point of view that the narrative emerging from the Saudis or the legal process has yet hit that threshold of credibility and accountability," the official said. Khashoggi, a U.S.-based Washington Post journalist from Saudi Arabia who had become a critic of the kingdom's Crown Prince Mohammed bin Salman, was last seen entering the Saudi consulate in Istanbul on Oct. 2. President Donald Trump, who has cultivated a close relationship with the crown prince, told Reuters last month he stood by the crown prince despite the CIA assessment and pleas from U.S. senators for Trump to condemn the kingdom's de facto ruler. 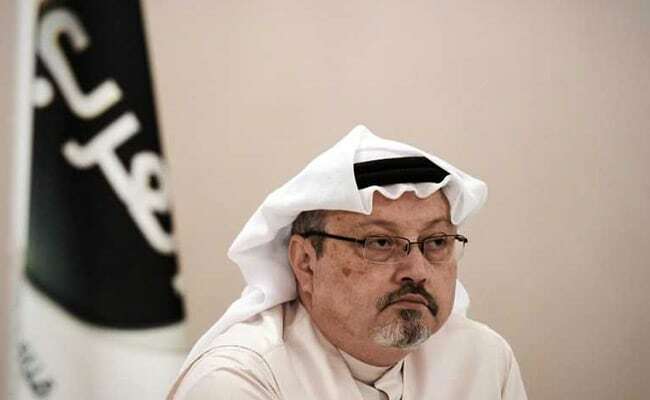 A Saudi court on Thursday held its first hearing on Khashoggi's case in which Saudi Arabian prosecutors are seeking the death penalty for five of the 11 suspects in the case. The United Nations human rights office on Friday called the trial "not sufficient." The State Department official said the United States was not "looking to get into the weeds" of the court case but would emphasise the need for a credible legal process.